IPS correspondent Carmen Arroyo interviews PETER THOMSON, United Nation’s Special Envoy for the Ocean. 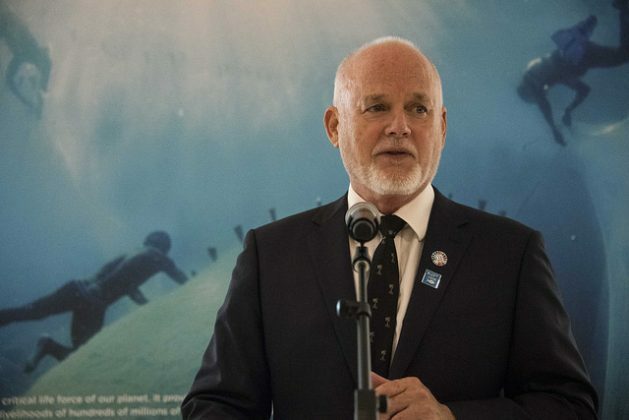 UNITED NATIONS, Nov 14 2018 (IPS) - When Peter Thomson, the United Nation’s Secretary General’s Special Envoy for the Ocean, heard in 2010 there was going to be a 2030 Sustainable Development Agenda, he knew he had to include the ocean question. Thomson had just been appointed Fiji’s Permanent Representative to the U.N. that year. He had a long career as a civil servant for the Republic of Fiji, and was a diplomatic personality. So the work at the U.N. suited him. At that time, the health of the ocean was becoming a priority among representatives from islands worldwide. So when the opportunity to impress this issue to the world came his way, Thomson did not miss it. Thomson, along other representatives from the Pacific Islands, started to push for the inclusion of an ocean goal within the 2030 Sustainable Development Goals (SDGs). Soon enough, other countries joined them. In 2015, they succeeded. In September 2016, Thomson became President of the 71st session of the U.N. General Assembly. The ocean was still a top concern of his. While other SDGs had supporting mechanisms in place (like the World Health Organisation for health or the Food and Agriculture Organisation of the U.N. for food,) the ocean lacked a supporting mechanism. So in June 2017, the U.N. Ocean Conference to implement SDG14 was held, with representatives from NGOs, firms, governments, and civil society. Later that year, the Secretary General appointed Thomson as the Special Envoy for the Ocean, a task he was happy to take on. Now, Thomson is working towards the implementation of some of the targets of SDG14 that mature in 2020. They include ending overfishing and protecting marine ecosystems. The Sustainable Blue Economy Conference that will take place in Nairobi by the end of the month will address these issues. Inter Press Service (IPS): What is your goal for the Sustainable Blue Economy Conference in Nairobi? Peter Thomson (PT): The Nairobi conference is hosted by the governments of Kenya and Canada, and some other governments have given their support, including Japan. It’s not a U.N. conference, but it’s a very important conference. It’s the first time an Ocean Conference is being held on the African continent. This is about the balance between protection and production of the ocean. In the case of the Nairobi conference, it’s not just the ocean, it’s lakes and rivers as well. It’s about SDG14’s goal to conserve but also to sustainably use the ocean’s resources. It’s about that balance. IPS: In recent years, the U.N. has held a number of conferences and talks on the ocean. Do you think public opinion has changed? PT: Yes, hugely. I compliment the media on that. Now, there are programmes on television and radio. Five years ago this was not the case, three years ago this was not the case. Today, ocean’s problems and solutions are on everybody’s lips. So I definitely think that this is much larger in the public perception as it used to be. 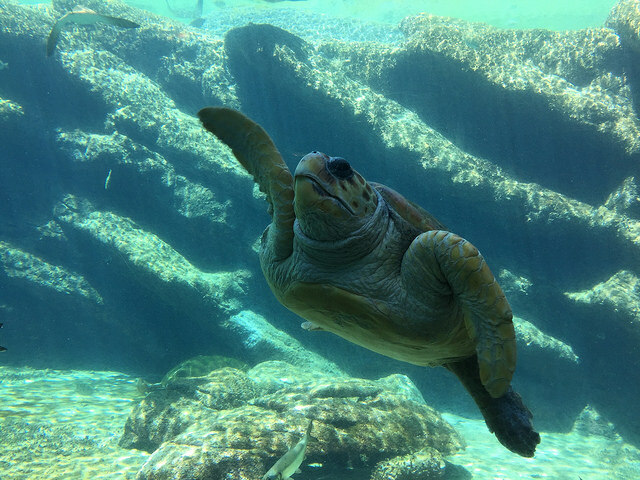 As it should be, because the climate and the ocean are the two fundamentals on which life on this planet exists. Every breath that we take comes from oxygen created by the ocean. IPS: How exactly are people more aware? PT: Everyone is aware that there has to be a component of ocean action in their work for it to be regarded as complete. I can give no better example than marine plastic pollution. Everybody is now engaged in this battle against single use plastic. That has raised global consciousness, no doubt. But it doesn’t stop there. We have all the SDG 14 targets to attend to. That is my job, to make people aware that is not just one or two issues on the ocean, it’s a gamut of issues for which we have targets. The other important part of our message is that we are continuing to see a decline in ocean’s health. Now our primary attention is in the implementation of that plan. IPS: SDG14 is closely intertwined with the other SDGs. How do you work with them? PT: When we do our ocean work, we think about the other SDGs. For example, SDG12, changing consumption and production patterns, is the core of 2030 agenda. If humanity doesn’t move away from unsustainable consumption and production patterns, we are stealing from our grandchildren. Everything we are doing in SDG14 is about harmony with SDG12. But all SDGs relate in some way to the ocean. We are doing our bit and helping them, and everything they are doing is helping us. I don’t feel any artificial barriers at all. IPS: You work with governments, the private sector, NGOs… As of now, are there countries that are doing nothing? PT: Even landlocked countries have skin in the game, because they eat fish and breath oxygen. This is something that every human being should find relevant. This is work for the future, not the present. IPS: And the private sector? How do you work with them towards SDG14? PT: The co-presidents of the U.N. Ocean Conference of 2017 were Fiji and Sweden. I was then the Fiji ambassador to the U.N., and the Swedish Minister who was active was Isabella Lövin. She and I went to Davos in January in the wake of the Ocean conference, and we asked the World Economic Forum to serve as secretariat to a group called Friends of Ocean Action. The group was formed by leaders from firms, intergovernmental organisations, and academic institutions. This has proved a very good way of maintaining the involvement of the private sector in the implementation of SDG14. PT: They’ve played a huge role in raising awareness of the need to put in place measures to assure that humanity doesn’t destroy the place where we live. If left unchecked we probably would. IPS: And then there’s individuals. How can we contribute to the solution in our daily lives? PT: Every human being has skin in the game here. Every breath we take comes from the ocean. I am no angel. I have been part of the problem. But for example I haven’t owned an internal combustion engine car in this century. I love a hamburger as much as the next guy. But two years ago, my wife and I looked at our grandchildren and at what the beef industry was doing in the world. We love our grandchildren more than we love beef. So we gave up beef. It is a personal choice. The same goes for single-use plastic. I am old enough to know a time when there was none of that nonsense of plastic covering everything. Who asked for it? We didn’t ask for it as consumers. Who is putting this on us? IPS: What can we do as consumers? PT: Consumers have the responsibility of speaking up. When I walk into a supermarket, I demand they keep the plastic they put around the product I wanna buy. Sometimes it has a plastic film around it, so it lasts for three months. But I don’t want it for three months! I want it for today. I rip it off, I give it to the cashier and say ‘that’s yours not mine’. If all consumers acted like that, you’d have a quick reaction in board rooms.